We believe in what we do, and are passionate about helping people live healthy and fulfilling lives. 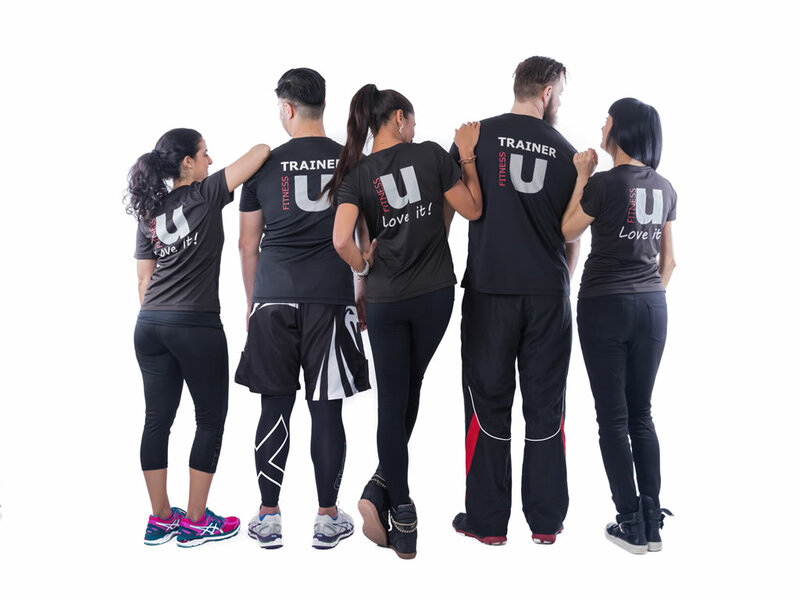 Each certified personal trainer we work with has been diligently selected because of their experience, knowledge, training, ability to motivate, personality, and integrity. Tali's sought-after expertise combines nearly 20 years' experience as a fitness trainer, and five years as a life coach. Tali launched FitnessU in Hong Kong in 2011 after discovering a lack of high-quality personal training in Hong Kong. Her exceptional standards, personal touch, and passion for all things health and wellness have seen FitnessU grow into a premier destination in Asia for premium personal fitness solutions, with operations expanding to Shanghai and Beijing. Master trainer Tarz has over ten years of health and fitness expertise, and comprehensive knowledge of the human musculoskeletal system. Since 2004, She has acquired countless hours of personal training for professionals, celebrities and athletes, with a belief that the best results are achieved through customising each session for truly tailored guidance. Tarz is also a popular health and fitness lecturer, conducting seminars in anatomy, biomechanics, physiology, and nutrition. Lorraine began teaching multiple styles of yoga in 2005 after being trained by world-leading yoga instructors David Swenson, Paul Dallaghan, Clayton Horton, Ana Forrest, Judy Krupp, and Paul & Suzee Grilley. During more than five years with Pure Yoga in Hong Kong, Lorraine taught over 4000 group classes, private classes, and corporate sessions, and was selected to lead a 10-episode training TV series for Pure Yoga on East Asia Satellite TV Ltd. Lorraine is able to teach in English, Cantonese and Mandarin, and also speaks some Japanese. Thelma is an experienced Music and Group Fitness instructor with experience and specialises in working with children of all age groups. In the area of fitness she teaches Zumba Fitness and different forms of Funky dance and is experienced in choreographing dances to different styles of music from around the world to all age groups. Thelma believes in the benefits of music and dance to help in child development and delivers special workshops and fun activities to children using different types of music and dance from around the world. Thelma is known for being a fun and outgoing individual with a strong sense of responsibility, so children and parents alike have a great time working with her and have built up strong trusting relationships. Echo Gan is a certified and registered yoga teacher with 'Yoga Alliance' and the International Yoga Academy. Echo was trained and mentored by India's leading Yoga teacher, Guruji Andiappan's and Ashrom. Currently she is studying for her Master's Degree in science majoring in yoga therapy. Beside her regular classes , Echo also is a volunteer yoga teacher teaching in some non-profit organizations. She also teaches classes for assisting treatment of breast cancer by yoga. 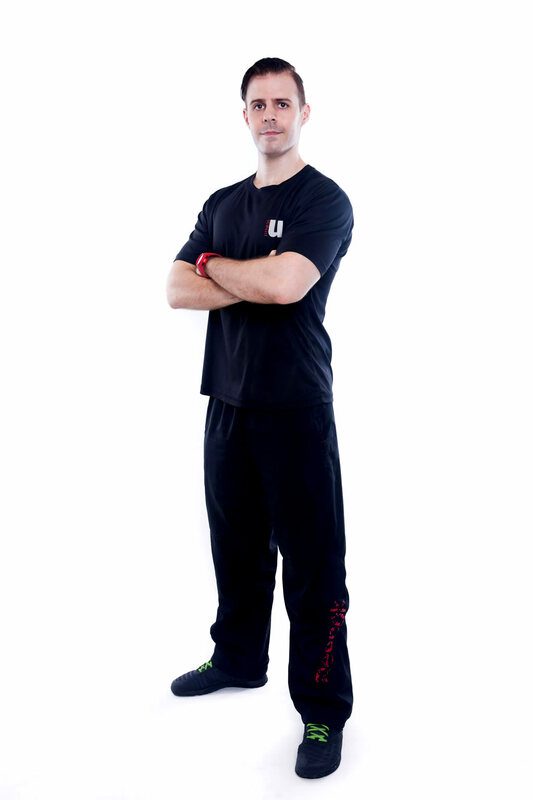 Alex worked as a personal trainer in the United Kingdom and Spain before joining FitnessU in Hong Kong. Alex also has extensive experience in self-defence and mixed martial arts (MMA), and has competed as a semi-professional MMA fighter. Alex is passionate about helping clients achieve their health and fitness goals. 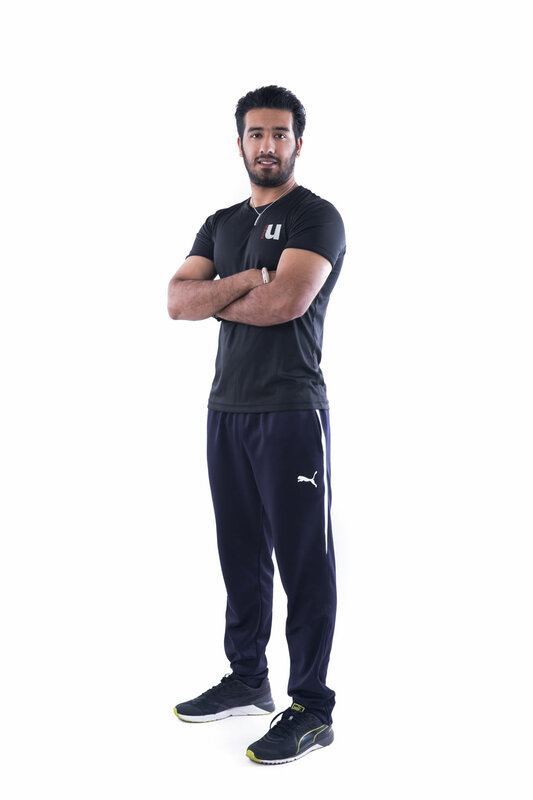 Kala achieved his advanced personal fitness training qualification through the Asian Academy for Sports & Fitness Professionals, before becoming a popular fitness instructor at the Vagabonds Cricket Club in Hong Kong. Kala is also a highly experienced cricket player, and has competed as a national level player through the Vagabonds Cricket Club. Born in Brazil, Ellen started her career as an artist and performer at the age of 13. Her passion for music, dance and the stage were the reasons she left her home and started traveling to take the stages of the world since she was 17. Ellen has been living, performing and teaching yoga, fitness & dance in Asia for 9 years now. Chloe joined FitnessU with many talents, including personal fitness trainer and teacher of contemporary, jazz, hip-hop, tap, and ballet dance. Chloe received her Bachelor of Arts (Hons) in Contemporary Dance from De Montfort University in Leicester, UK. Kuga has over five years' experience as a Muay Thai boxing trainer, and continually works with top Muay Thai trainers in Thailand to improve his techniques. Kuga is qualified to instruct both amateurs and professional fighters. 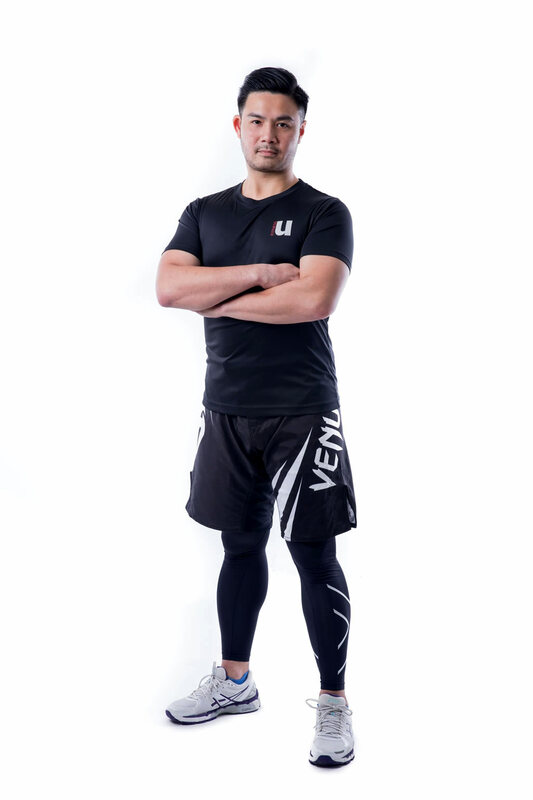 Kuga also brings over eight years of experience as a personal fitness trainer to FitnessU. He has worked with multiple professionals and athletes, acquiring a sound reputation for his results in cardiovascular fitness, muscle endurance, muscle power. and flexibility. With Charlene's creative and fun approach, she'll always bring something new and unexpected to your personal training. Charlene has been practising martial arts since she was five years old, and practises kickboxing, mixed martial arts, Brazilian jiu-jitsu, and Taekwondo. She also instructs in many areas of fitness, including pre- and postnatal fitness, kettlebell, stretching, and Power Plate. Charlene keeps herself up-to-date with the latest developments in the fitness world so she can continue to help her clients achieve their goals in enjoyable and effective ways. Strength, balance and freedom from chronic pain are benefits that Shelly personally experienced through her own Pilates practice, which she now aims to share with her personal fitness clients. Following four years of study in movement and Pilates, she now helps clients achieve overall improvement in their strength, flexibility and posture, in a relatively short period of time. Shelly is certified in mat Pilates, and has taught private students and in studios since 2012.